Did you know that 33 percent of email recipients decide whether or not to open an email based on subject line alone? If you want your email read, you’ve got to get it opened first. Here are twenty powerful headers to try for four different types of email outreach, plus a few helpful tips for creating subject lines that work. Met you at [event]. Let’s connect! Is there someone in your desired industry that you admire? Flattery will often get an email opened. A referral will often get you in the door, so don’t be afraid to name-drop right from the subject line. [Topic] is a passion of mine, too! You’ve scoured your contact’s blog and social channels and discovered that you both have an interest in hockey. This is fate! Break the ice (ha ha) by referring to a common interest. If you went to the same college, even if your paths never crossed, use a little school spirit to get a foot in the door. We humans like numbers. 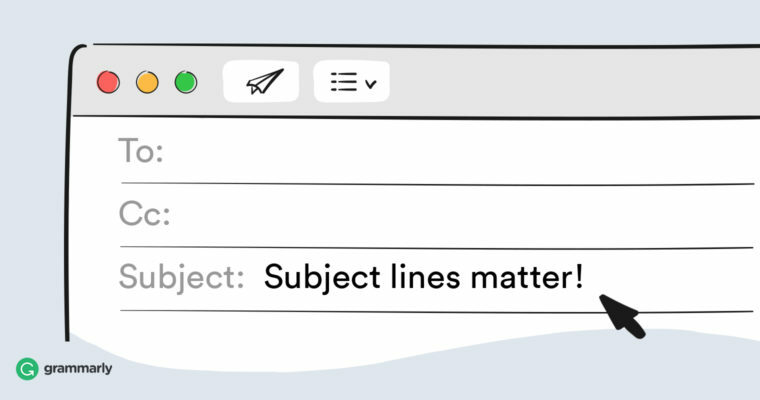 Email subject lines with numbers are opened more often. Drop a number, and then offer to give your contact help with some challenge and you’re likely to catch their attention. Let’s say you’re offering customized meal plans. A subject line like “How to become an awesome cook in one week” is sure to get attention. Tell people that a deadline’s coming up and most of them just shrug. Oh, well. If I miss the deadline, it’s whatever. Tell them there are only three spots left (or twenty-four hours left to save $100, or only four magical squirrel catapults left in stock) and FOMO kicks in. We’re competitive creatures, and no one wants to miss out. 3 out of 4 people are deficient in this mineral. Are you? Subject lines that create curiosity are infinitely clickable. Don’t you want to know what mineral you’re likely to be deficient in? (We don’t know, either. We made it up. That’s not the point.) If you can make your recipient curious to find the answer to something, you’re more likely to get them to engage. People are curious about new things. Campaign Monitor discovered that emails with “introducing” or “new” in the subject line increased the chance of the email being opened by 9.45% and 3.26% respectively. This subject plays off the curiosity gap, but it also suggests that the recipient might be making some critical errors, which makes it a must-open email. We want to read confessional content. If we’ve made similar mistakes, then we’re reassured that we’re not alone. If we’ve avoided the mistake, we feel grateful. It’s a win-win. Again, we’re using numbers. If the content you’re promoting uses a numbered format, then use that in your subject line. People respond to numbers, and they like tips, too! Any time you tell your recipient that there may be a gap in their knowledge, you encourage them to open your email to find out more. Okay, it’s a bit gimmicky, but email subject lines like this work. They feel personalized. Just make sure you deliver some intimate, compelling content or you’ll lose your reader’s trust. Spare five minutes to give your expert feedback? We like to be thought of as experts. We like to know that our opinions matter. Asking for feedback is often fairly easy. Reminding your contact that your request will only take five minutes helps it seem manageable. Not everyone wants to be helpful, but most people do like to be appreciated. Ask for help in a polite, straightforward way that expresses gratitude. Urgent call for volunteers. Are you in? Saying that you have an urgent need alone might do the trick, but adding a call to action right in your subject header can stir a more immediate response. The question “Are you in?” subtly implies that others are and urges the recipient not to miss out. Okay, so, maybe you’re going to ask your recipient to do something they’d rather not, like answer phones at the telethon or stay late to help with a special project. But you’ve got to get them to open your email plea first. This subject line is just vague and intriguing enough to do the trick. Would you share this story on your social channels? People often make the mistake of burying their ask so deeply in their email that the recipient isn’t even sure what they’re asking for. This type of subject header cuts straight to the chase and tells the recipient exactly what you want. Don’t promise anything you can’t deliver. If your subject header promises to offer twenty great tips for starting a ferret farm, your email had better point to a website with those tips. Otherwise, you’ll lose trust. Keep it short. Although 65-character-long email headers do seem to result in opens, it helps to be aware of the issues longer headers may cause. People read emails on their mobile phones, where a subject line over 25 to 30 characters may be truncated. Avoid filler words and phrases. Your space is limited. Use it wisely! Don’t use all caps or excessive punctuation. When you use all caps online, you look like you’re shouting! No one likes to be shouted at. Excess punctuation (like multiple exclamation points or question marks) looks amateurish and desperate. Both all caps and over-punctuating can also trigger spam filters. Speaking of spam filters . . . here are some of the best ways to avoid them.